The Rila Monastery is the most impressive monument of Bulgarian culture and architecture from the Bulgarian National Revival period. For centuries it has played its exclusive role in the Bulgarian history. The monastery is believed to have been founded in the 10th century by a hermit, Ivan of Rila – protector of Bulgaria. In its present-day look the monastery was built in 1816-1847 by Bulgarian master builders. While from the outside the monastery looks like a solid medieval fortress, from the inside - from the main church “The Nativity of the Virgin” and rest of the monastery buildings, decorated with arches and colonnades, wooden stairs and carved verandas one can feel the beauty of the Bulgarian National Revival style. The Tower built in 1335 by the local feudal Hrelyu is still preserved in the yard. The main church impresses with gold-plated iconostasis with unique wood-carving and a great number of wall-paintings and valuable icons, created between 14 and 19 century. 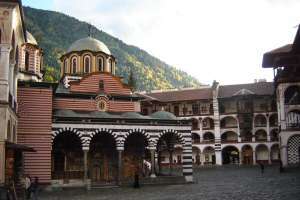 Since 1983 the Rila Monastery is under the auspices of UNESCO. Plovdiv – the town of the 7 hillocks is situated along the river Maritsa and is the second largest city in Bulgaria. Its unique location on an ancient cross road has contributed for the strong cultural and political influence of the Eastern and Western civilizations on it, but in spite of it the town has preserved its extraordinary cultural identity. 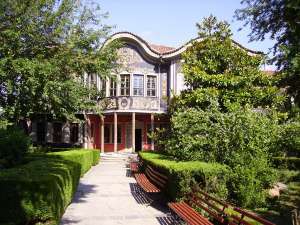 Plovdiv is a picturesque town, with many parks and gardens, museums and archaeological monuments. Its old part, called the Old Town, with houses from the National Revival Period (18-19 century) is an imposing open-air museum situated on the three hills of the ancient Trimontium. One of the most remarkable sights, the Ancient Theatre (a well-preserved Roman theatre), is located there and is stilled used for open-air performances. This is one of the best preserved antique theatres in the world. One of the oldest capital cities in Europe, the history of Sofia dates back to the 8th century BC, when Thracians established a settlement there. Sofia has had several names in the different periods of its existence, and remnants of the city's millenary history can still be seen today alongside modern landmarks. Nowadays, it is Bulgaria’s main political, economic and cultural centre. It is also the country’s entertainment capital with its great number of theaters, cinemas and museums. 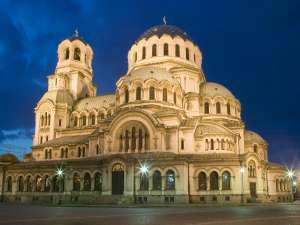 Sofia’s long history of Eastern Orthodoxy has left behind impressive and beautiful cathedrals and churches making them some of the main attractions. A tour of the city could be a good way to make a quick journey in time. You will visit the most remarkable historical and cultural monuments of the Bulgarian capital.